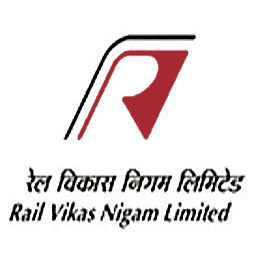 RVNL Recruitment 2019: Rail Vikas Nigam Limited / www.rvnl.org is conducting recruitment processes to fill 17 vacancies. As of now, there are ten recruitment drives going on for Sr. DGM (Finance) Post, DGM/ SM (Elec.) Post and others. RVNL Recruitment 2019 - Job notification for Sr. DGM (Finance) Post in Accounts Department, RVNL, Ranchi, Jharkhand on Deputation Basis. Applications are invited by Rail Vikas Nigam Limited within 30 Days From Date Of Issue for 1 vacancy. RVNL Recruitment 2019 - Job notification for DGM/ SM (Elec.) Post in Electrical Engineering Department, RVNL, Guwahati, Assam on Deputation Basis. Applications are invited by Rail Vikas Nigam Limited within 30 Days From Date Of Issue for 1 vacancy. RVNL Recruitment 2019 - Job notification for Addl. GM (Civil) Post in IRSE/Civil Engg. Department, RVNL, Kolkata, West Bengal. Applications are invited by Rail Vikas Nigam Limited on or before 23 May 2019 for 1 vacancy. RVNL Recruitment 2019 - Job notification for GM, AGM/ JGM/ DGM & Other Posts in IRSSE/ S&T Department, Kota, Guwahati on Deputation Basis. Applications are invited by Rail Vikas Nigam Limited within 30 Days From Date Of Issue for 5 vacancies. RVNL Recruitment 2019 - Job notification for GM (Project) & AGM/ JGM/ Sr. DGM (Civil) Posts in Department of IRSE/CIVIL ENGG., RVNL, Mumbai, Maharashtra on Deputation Basis. Applications are invited by Rail Vikas Nigam Limited on or before 23 May 2019 for 2 vacancies. RVNL Recruitment 2019 - Job notification for JGM/ Sr. DGM (Project) Posts in Department of IRSE/CIVIL ENGG., RVNL, Kanpur, Uttar Pradesh on Deputation Basis. Applications are invited by Rail Vikas Nigam Limited within 30 Days From Date Of Issue for 2 vacancies. RVNL Recruitment 2019 - Job notification for AGM/ JGM/ Sr DGM (Civil) Posts in IRSE/CIVIL ENGG. DEPTT, RVNL, Jhansi, Gwalior on Deputation Basis. Applications are invited by Rail Vikas Nigam Limited on or before 23 May 2019 for 2 vacancies.